It’s easy to let your routine fall by the wayside when you’re away. Often if something doesn’t easily fit into our day, we are likely to avoid it all together. I have my regular daily practice whether at Divine Flow Yoga or at home, and until my recent trip, I didn’t realise the effort I would need to put into practicing yoga on holidays. I truly felt the disconnect the first week after letting my practice fly out the door. Being on an active honeymoon full of snowboarding, hiking and surfing, my body was craving movement, stretches and mindfulness. 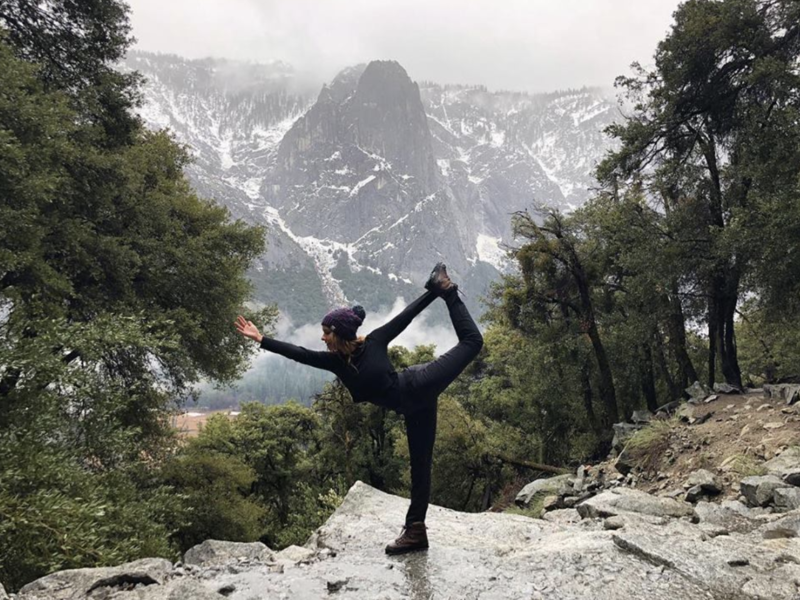 I understood that my expectation of practice had to shift, and instead my usual practice, it turned into 15 minute well-needed stretches, small meditation practices on a mountaintop or walking with no shoes to feel grounded. 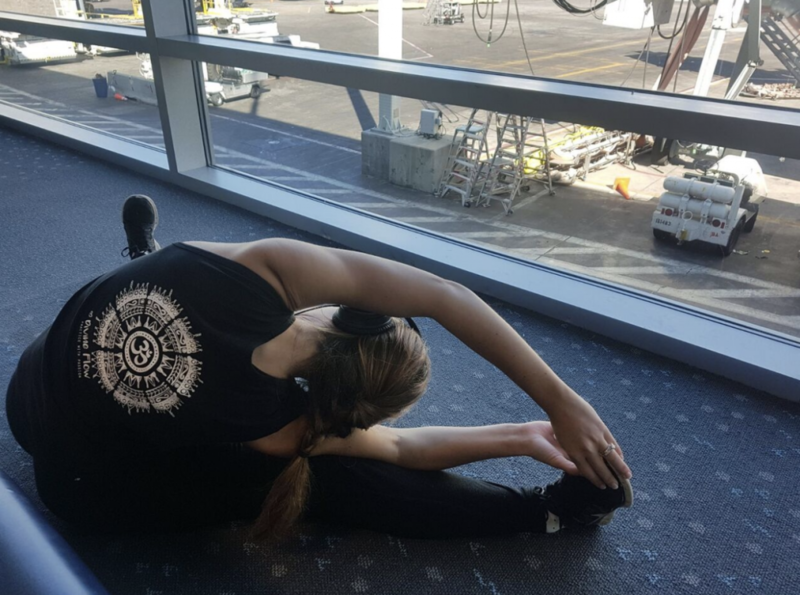 Don’t leave your yoga practice at home when you travel. 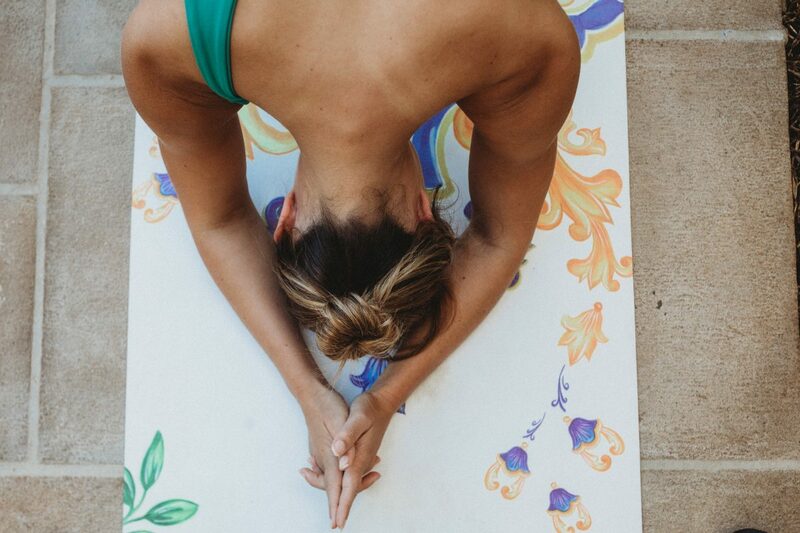 Carve out the appropriate time to set aside for your practice and tune in to your body. After 2 weeks of snowboarding, I booted out my vinyasa practice and just balanced my already yang energy with YIN most evenings. My body was aching and my muscles were tired, so yin was perfect for me to unwind and enjoy slower paced movement. Tune into what your body needs, move the way your body craves to move and target the areas that are asking for extra love. Wherever you are traveling or whoever you’re travelling with, stay present to your surroundings and avoid getting caught up in work emails or social media, because where you are now has way more to offer. We found some beautiful spots while we were away on our Honeymoon recently and made an effort to practice gratitude, to feel the nature surrounding us, and to be thankful for that experience being there. Let your senses run wild to the smells, sounds and sensations of your environment. After a long flight or hours in the car my body begs for Viparita Karani (legs-up-the-wall pose) and the benefits are incredible! A couple of my favourite reasons to practice this pose are its ability to reduce swelling, improve circulation, relax the mind, and set you up for a great sleep. I also love popping into a supported handstand when I am feeling low on energy or needing strength. 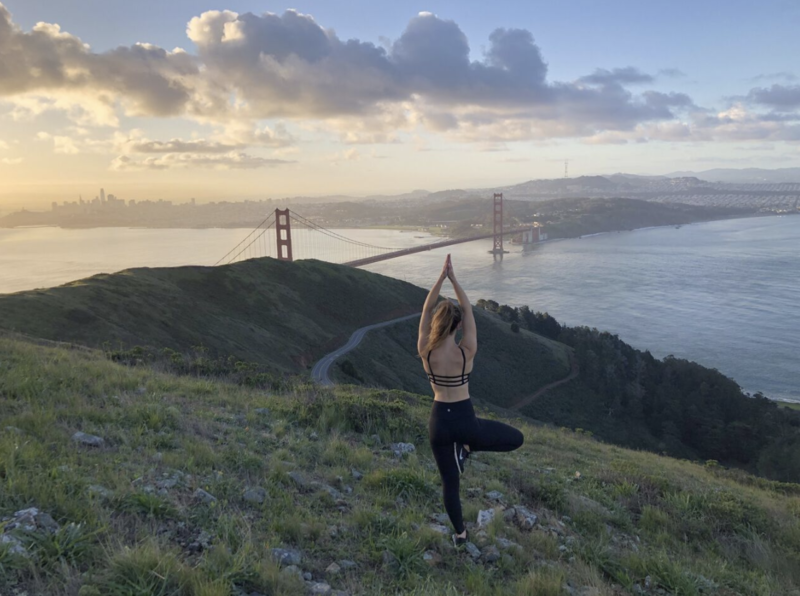 Google local studios and see if any of their yoga classes suit your travel schedule. Introduce yourself and get a feel for what they have to offer. I love checking out yoga studios whilst away, seeing the community they have, and I simply love rolling out my yoga mat and being guided, and feeling supported. On my recent trip I connected with a couple of studios and have remained in contact. I love how yoga brings people together!